Throughout New Jersey, businesses like yours rely on high-quality and heavy-duty commercial grade garage doors. Whether you’re managing a hospital or running a retail outlet, providing your company with adequate security and efficiency is critical. TGS Garages and Doors is happy to explore the garage doors we supply to commercial entities throughout the region, taking a closer look at the type and style of door that best suits your establishment. No two businesses are the same. To support the unique needs and operations of your business, TGS provides a range of garage doors styles, designed to satisfy a variety of functions and budgets. If you’re running a warehouse, factory, or stadium, you’ll need a robust fireproof garage door that protects your employees and inventory. Depending on your property’s size, we may also suggest commercial roll-up doors. Using materials such as steel, we can ensure your building remains safe, preventing unwarranted access. Our stadium garage doors, for example, include commercial roll-up doors that coil. Each one is simple to operate and durable, making them ideal for environments where large crowds move through. If you’re operating a distribution center, protection against fire becomes even more critical. This is especially the case if you’re distributing highly flammable goods. 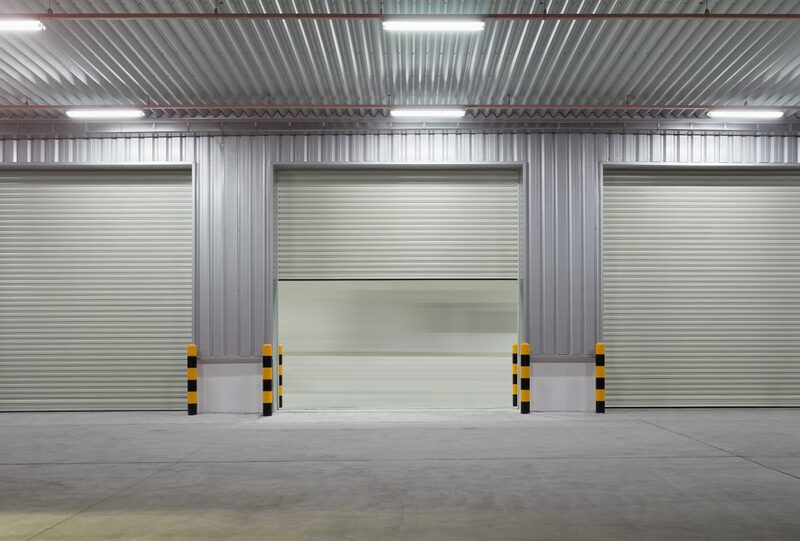 Our overhead doors come with fire-resistant fabrications, and we provide a professional installation service, so you know yours will last for years. To make sure we provide the perfect fit for your facility, we’ll send out a professional assessor who’ll look at your environment’s specific requirements. From labs to hospitals, the garage doors you choose will protect specimens that enter your premises. Similarly, we recommend using commercial overhead doors. Our commercial overhead doors will withstand the pressures of daily life in a medical environment, as well as the New Jersey weather. We use high-end computer technology to design an ideal fit for your medical business. Additionally, you can come to us for a commercial roll-up door. From interlocking stainless steel features through to fireproofing, we’ll work with you to meet your precise specifications. Depending on the nature of your business, you may have very specific requirements. Fortunately, our expert team is here to provide a professional fitting service that will match the quality of your retail space. If you need a robust front, but you also want to showcase your goods, we recommend using glass garage doors. Alongside remaining sturdy, they allow potential customers to see your products, even when you’re not on the premises. We also provide overhead door openers with opening delays so that you can benefit from an extra layer of security. Additionally, we’ll add sensitive smoke detectors. As such, if the worst does happen in your absence, your retail garage door’s features will alert the emergency services promptly. Finally, we provide repairs and installations. Using a professional installation service, you’ll ensure your door lasts longer than when you attempt DIY. At TGS Garage Doors, we’re proud to serve the New Jersey community with reliable fittings that last for years to come. Our professional installation service prevents you from encountering short-term problems, reduces the number of repairs you require, and ensures your commercial garage door is fit for purpose. From the moment you come to us, we’ll discuss your requirements and try to incorporate high-tech solutions wherever possible. Such solutions will deter others from gaining entry, reduce the risk of fires, and delay opening to provide an extra layer of security. If you would like to learn more about our commercial installation and repair services, we invite you to contact us. A member of our team will be in touch to offer their assistance!